Non-slip bath mat with heat sensor! 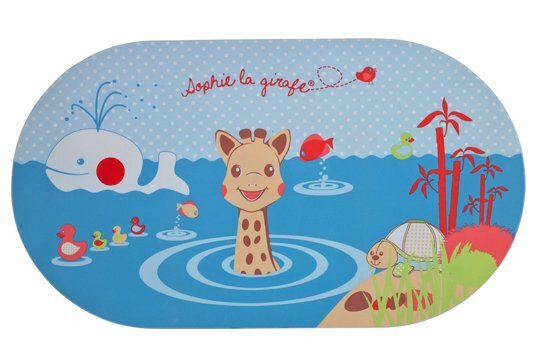 To bath baby safely and avoid accidents, this non-slip bath mat has over 80 suction cups. 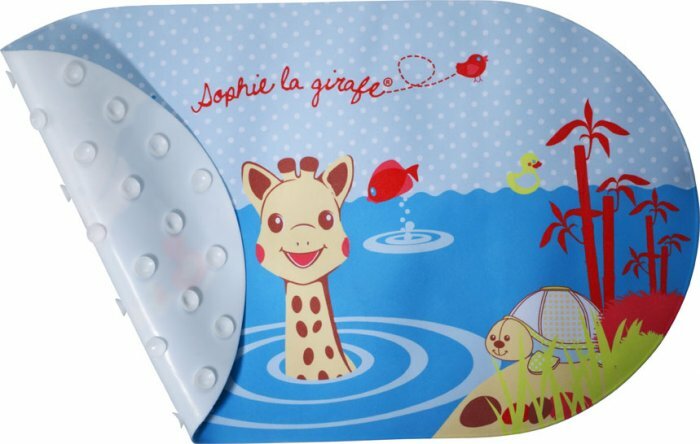 A colourful design depicting Sophie la Girafe and Margot the Turtle enjoying the water. For extra safety, a heat sensitive spot on the whale indicates when the bath water is hotter than 37°C. When the spot is white and the symbol appears, the water is at 37° or hotter, providing a danger warning.